No matter what we do, it seems like we can always use more space. Whether they need a place for storage, a larger entertaining area, or a little square footage for a little slice of tranquility. The question is: where will this extra square footage come from? The simplest solution is to get rid of unused or unnecessary items from the home. While that may take care of the storage issue, it won’t all of a sudden make a dining room larger or create a nice reading area. The only way to get more square footage is to make it, which is a much bigger decision than just deciding to purge your belongings. What kind of addition makes sense? While a standard addition maybe the first choice for many, a new sunroom could be the perfect answer. What kind of addition makes sense? While a standard addition maybe the first choice for many, a new sunroom could be the perfect answer. What are the differences? Let’s take a look at the differences between sunrooms and traditional additions. For the most part, both sunrooms and traditional additions can be made to the same size and can be built seamlessly into an existing structure. There are a few differences, however. For example, sunrooms aren’t usually outfitted with plumbing, so using them as master bathroom or laundry room isn’t ideal. On the other hand, an addition won’t allow the homeowner to feel a connection to the outside like a sunroom can. As is usually the case with a decision like this, the bottom line is the bottom line: how much will it cost? For a room that’s to be used as a breakfast nook, kitchen expansion, a place to host gatherings, or an additional family room, a sunroom can cost less than a similar-sized traditional addition. Although both may need a foundation poured and wiring or HVAC services installed, that’s where the construction similarities end. Where sunrooms are essentially windows, an aluminum frame, and aluminum, vinyl or wood interior, much more materials are needed for an addition. An addition needs wood framing, plywood sheeting, building wrap, siding, drywall, roofing felt and shingles. More subcontractors are needed as well, which costs more and stretches out the amount of time needed to finish the product. 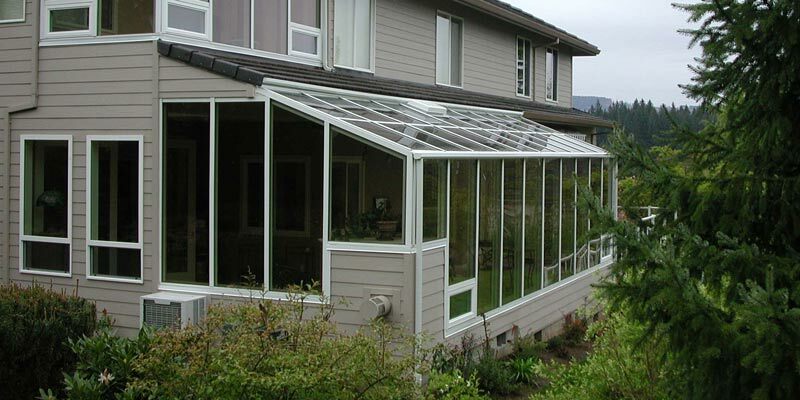 Sunroom construction is a much more compact operation. There is no need for additional subcontractors as sunroom dealers act as their own construction crew. Certainly there are times when a traditional addition makes sense, but if price and construction time is a concern, a sunroom can be a great way to add more square footage for your home. 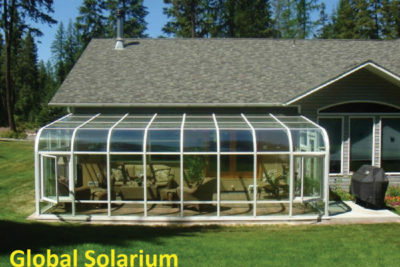 For more information, or to discuss your sunroom ideas, Contact Global Solariums today.